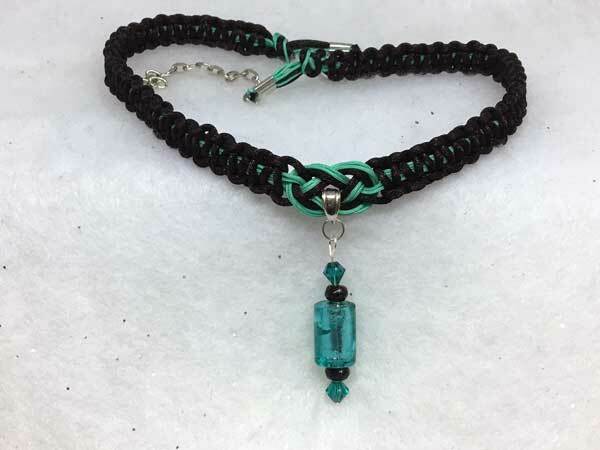 This piece is made with nylon cord in black and a beautiful dark mint. The length can vary from about 16 to 19 inches with a center jeweled piece that adds 2 inches. The focus of the jeweled piece is a gorgeous mint green foil barrel bead. Sitting above and below this are two fully-faceted black glass rondelles and two dark mint bicone crystals.